Wanted to take a break from my U boot build and also to try to make an entirely 3d printed model. > As simple as posible, dinamic diving. I see that Juan last posted in March - so let't hope for a reply. Nick you can search for all postings from one individual and you can pm him. I see that Juan has done some interesting 3D printed superstructure. I am deeply sorry for not replying earlier. It's been a long time, I have been busy and studying on another country, so not much time to devote to this. As I don't expect to work on my submarines until this summer, here are some pictures of what I did. Everything was printed in segments, in white abs. Then it was "acetone welded", painted with abs+acetone mix and then sanded. 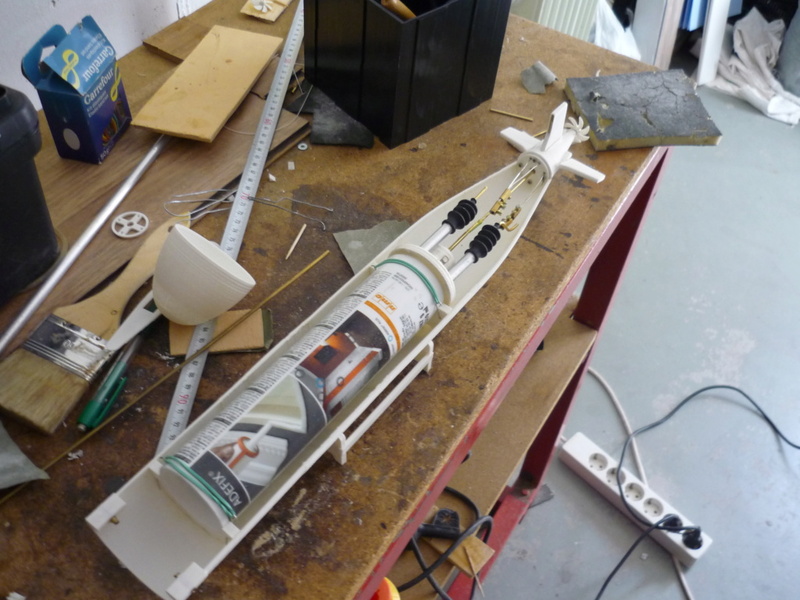 Hull thinkness is 2 mm and the model is about 50 cm long. 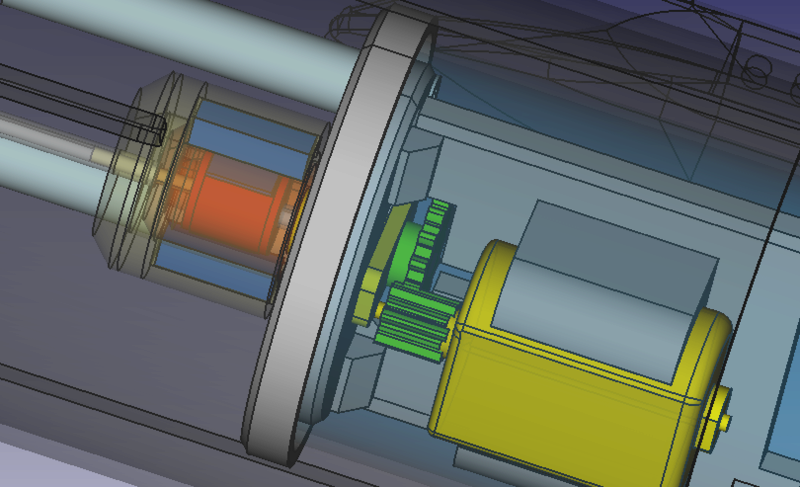 Upper and lower hull are held together by magnets. Hull, after assembly and sanding. 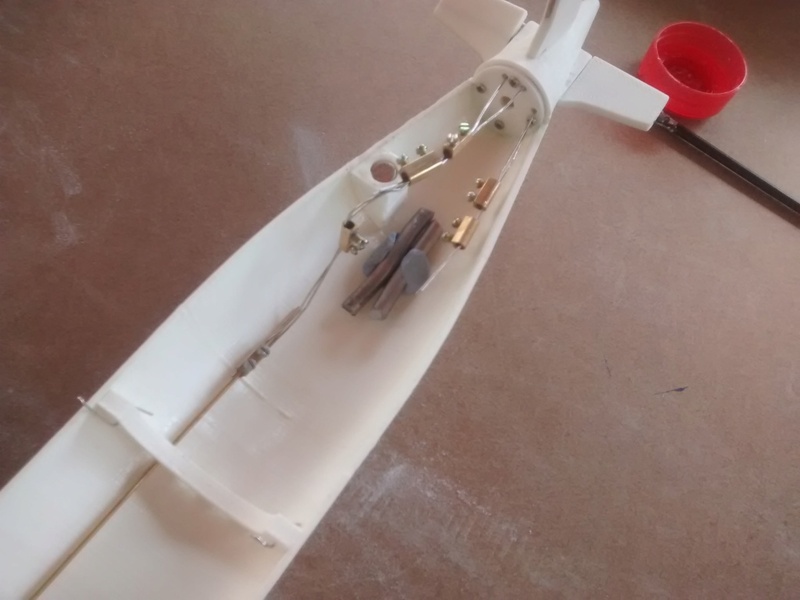 Hull inside and linkages. I used brass rods, paperclips (which do oxidize) and screw terminals. Not the best, but it worked. It was a pain to cram all that in the tiny aft cone. I'll see if I can take a photo of the inside linkages. 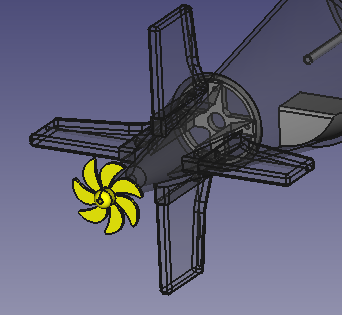 Rear view with an unfinished propeller. I printed them with the blades flat, then bent them with some pliers and then submerged them into abs+acetone to reinforce them. They were not that strong, but they worked fine. I made about five and I went trough three of them. 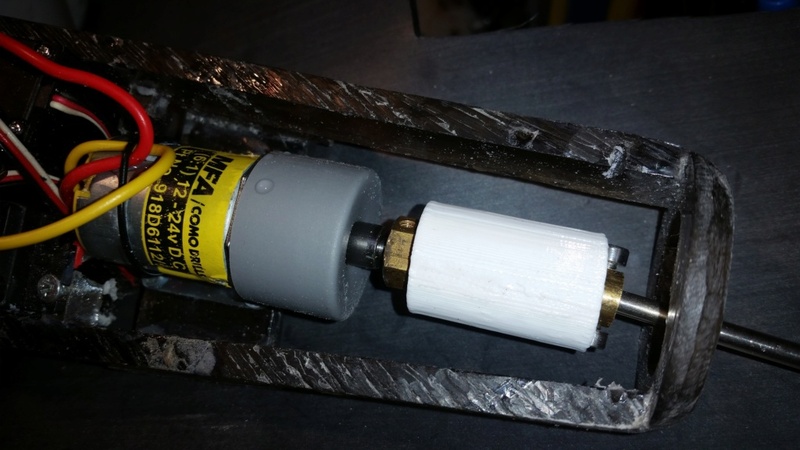 Here you can see the WTC made out of a silicone tube, Endcaps were 3d printed, and a silicone gasket was used. Two screws pressed the endcaps in place. It was not reliable and often leaked. That's why I left it on hold, I'll have to make a proper WTC, and that would mean redoing everything but the hull, because it's not modular. Part of the rear magnetic copling can also be seen. This is the rotor that drives the magnetic coupling that in turn drives the propeller. 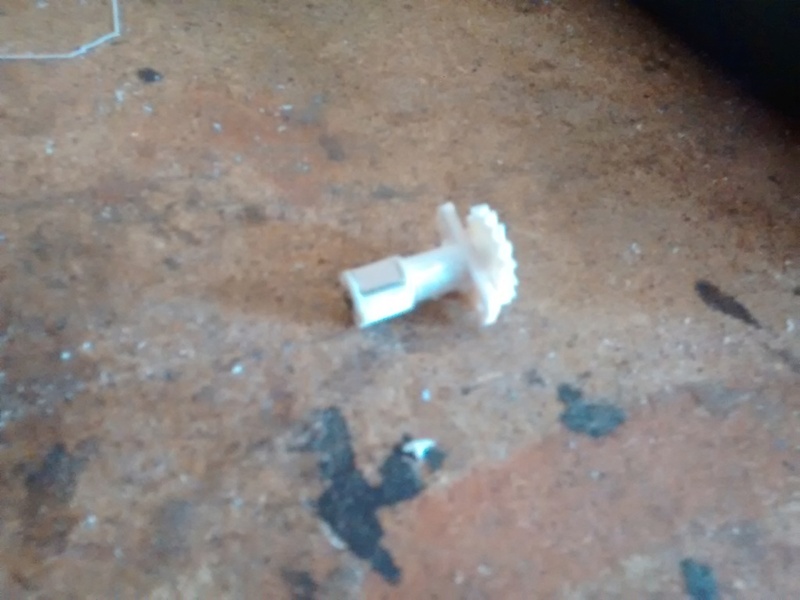 It is connected to the motor by a gear, which is also 3d printed. This is the inside of the WTC. Motor is on the bottom, so are the batteries. I first had a servo push some switches to drive the motor, later on added an ESC. And here it is, in the water, it was weighted so just the sail (which was hollow) was above water. It could dive dinamically using the rear planes. Radio reception wasn't the best as I folded the antenna inside the compartment. This wasn't designed for great depths though. 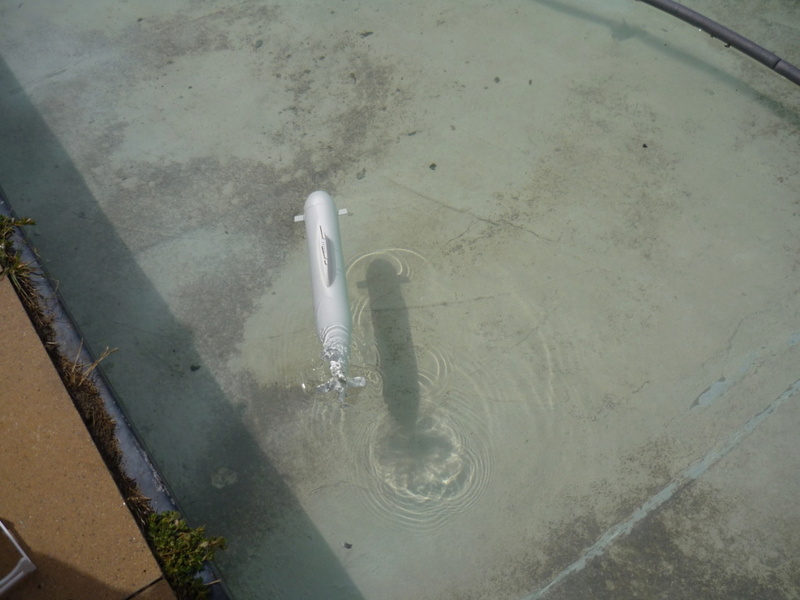 I even had planned adding an air pump and solenoid valve to make it statically dive with a rubber bag...That's not going to happen. If I ever get it properly working, it'll remain dinamic only. So there it is. I hope someone finds this interesting and can get something out of it. I'll remember to check the forum more often. Any questions/suggestions are welcome. 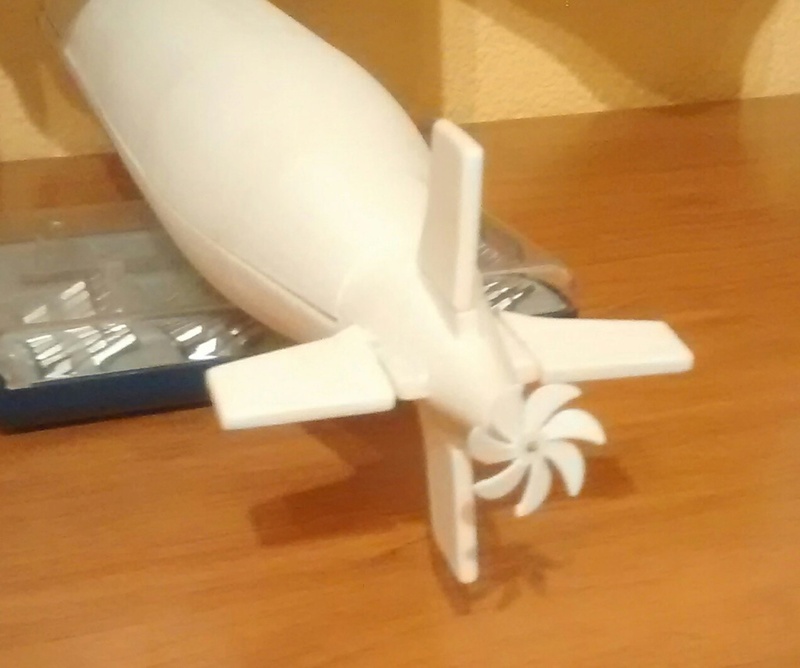 Thanks Juan - a very nice simple project showing the capabilities of 3D printing. I wonder if your WTC problems could be solved by using a harder plastic tube with push-in end caps (lathe turned with a grooved O ring seal)? Thank you very much for posting this good looking model. Nice bit of work there Juan. I'm doing a similar thing but about 1m long. 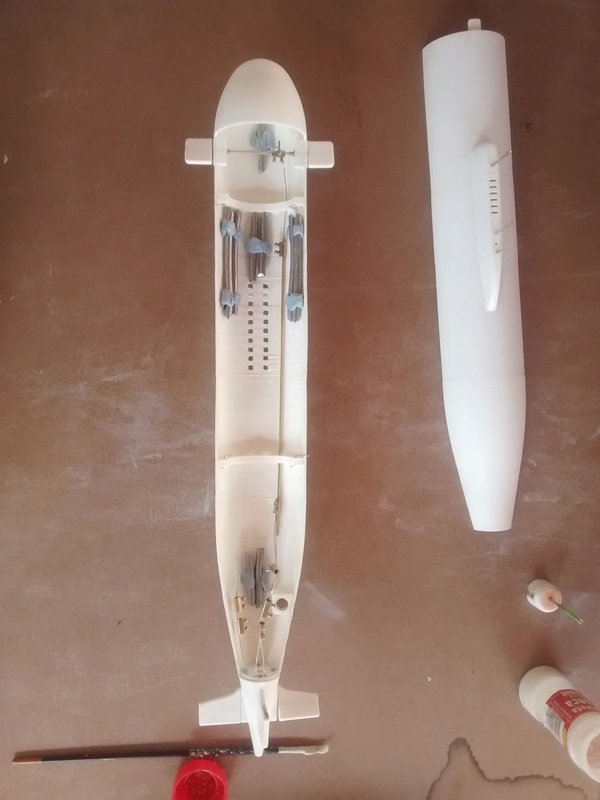 As it is quite long I've not printed the long hull sections (although I could have as my printer can build a little over 25cms a time but that would take 7-8hrs a print) but the main 'decorative' parts, bows stern, decking, conning tower and parts for a dive tank. I'll post some pictures at some point. In terms of mass my bow section, 110mm diameter with a slight taper down to a fat ellipse at the pointy end, is 3mm thick with the inner/outer skins at 1mm and a 30% material fill between them used about 18m of filament ~75gms of material (PLA). If I used a heavier infill or higher print resolution (<.2mm) the mass would increase but probably not more than 75 grams. It survived a cat incident, falling 2m and landing nose first (attached to the main hull) on a concrete floor without a scratch so is more than tough enough! PLA does biodegrade (eventually) as it is corn starch based but I've has printed parts outside exposed to the elements for over a year and they're unchanged. It is hard when printed and a PIA to smooth so I've left it as is. 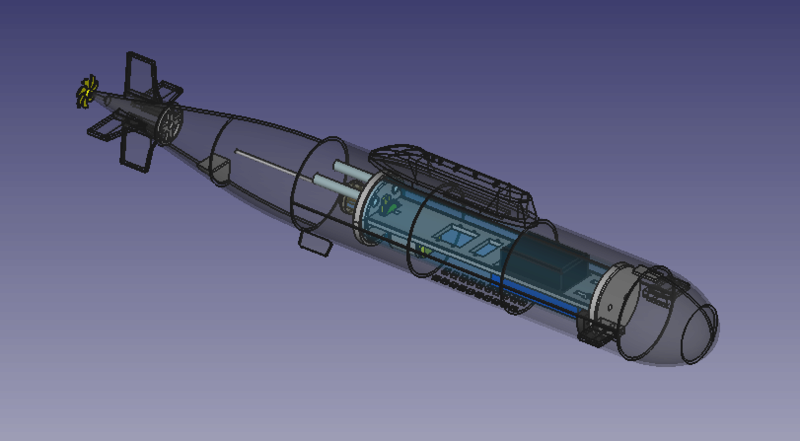 Current sub project is a piston dive tank(s) the mechanics are fine (an hour to print a piston with a slot for o-ring) but the electronics are a bit of an evolving thing. I'll probably buy in a control system rather than painfully reinvent a wheel. Concerning piston tank control systems have you had a look at the thread on here? 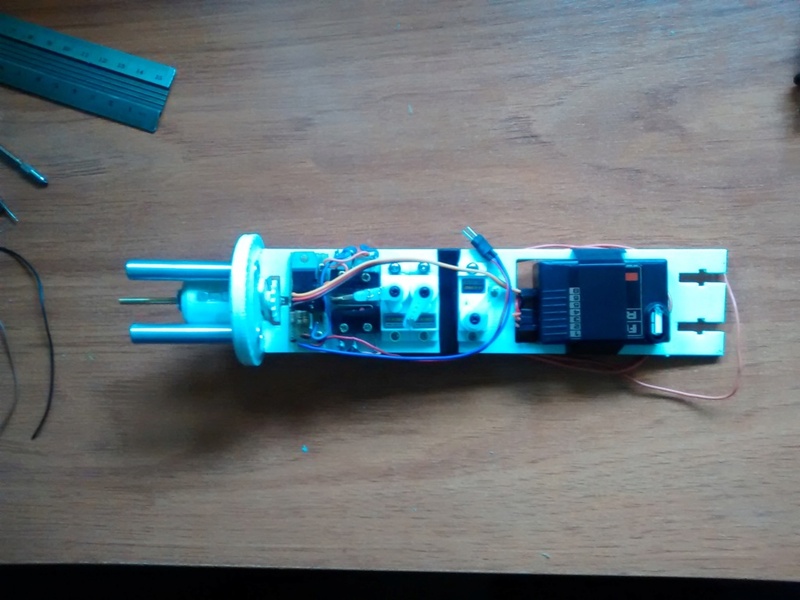 It shouldn't be too painful to adopt or adapt if you are reasonably OK with Arduinos.